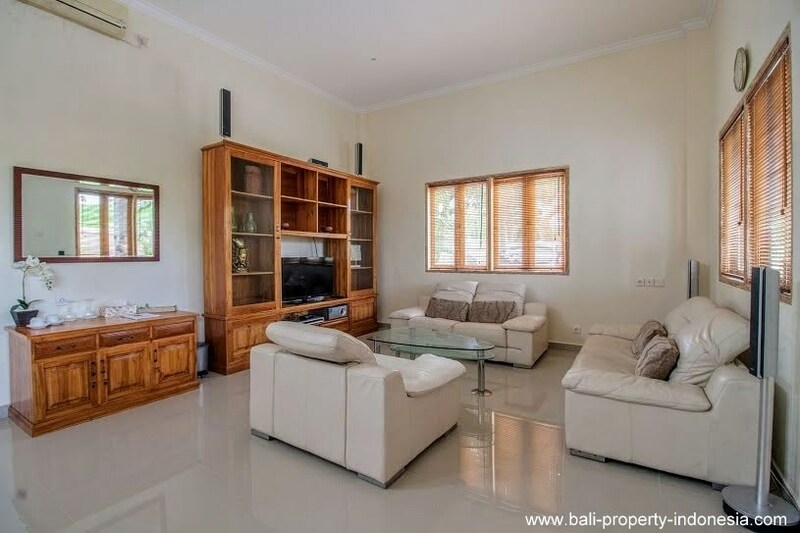 Large family home offering you 5 bedrooms on a peaceful location, on offer for sale with a freehold title. 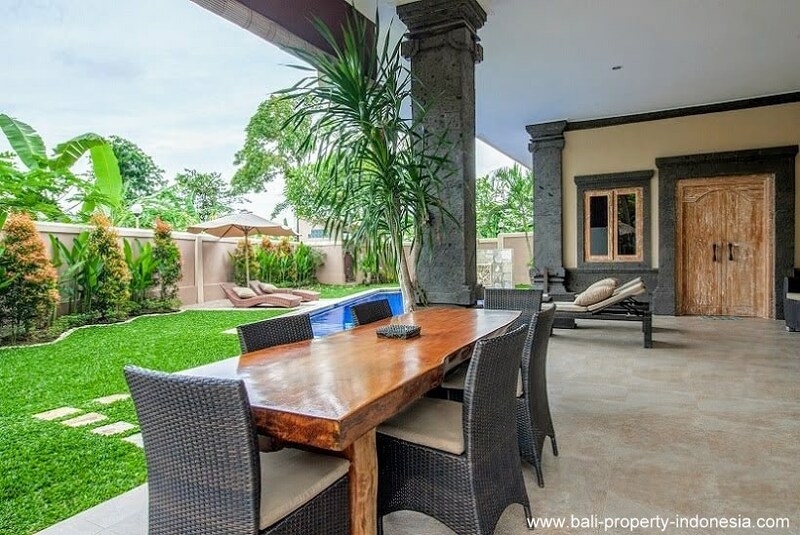 This family home in Seseh boasts a beautiful peaceful and exotic Balinese hideaway setting on Bali’s scenic south-west coast, away from the hustle and bustle of nearby Kuta and Seminyak. 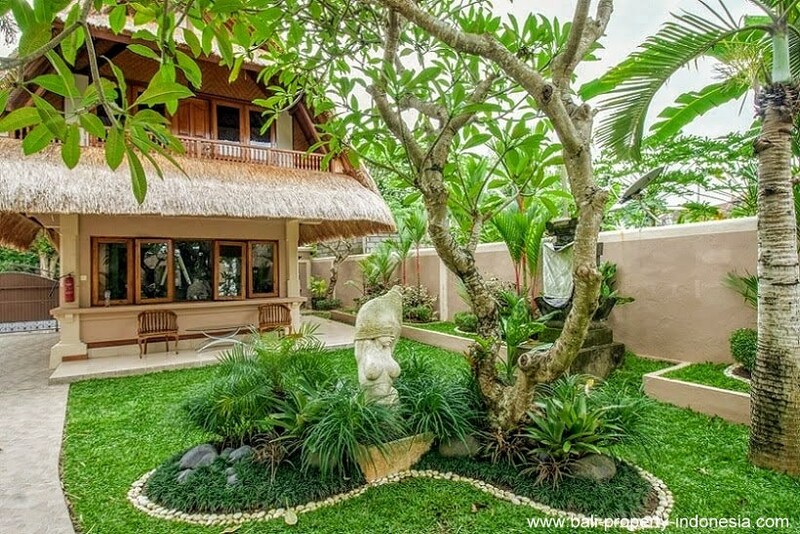 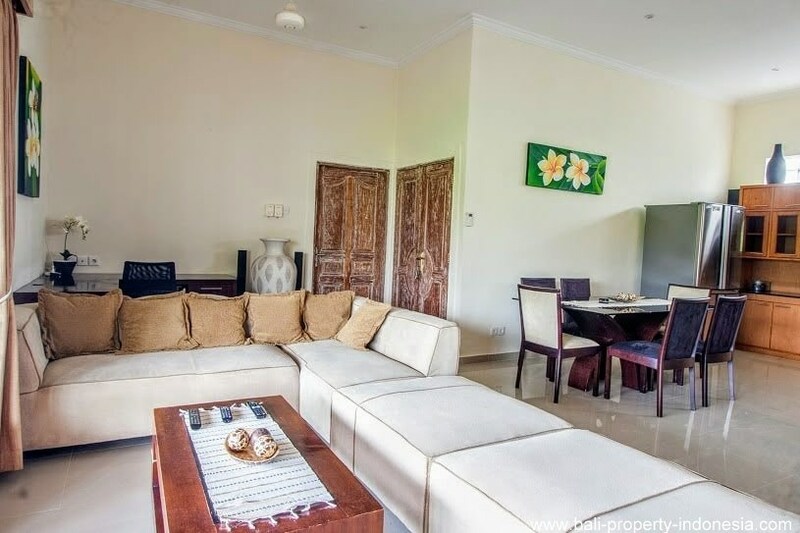 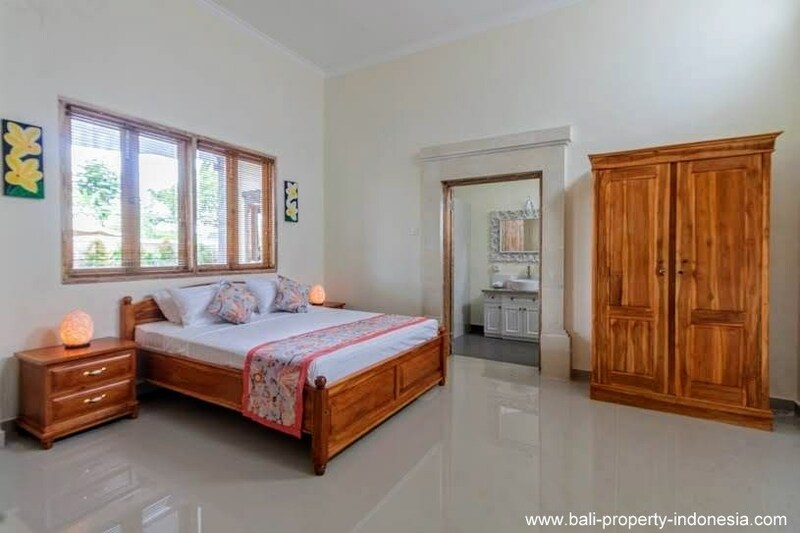 Set in the tiny village of Cemagi, close to Seseh Beach and Tanah Lot. 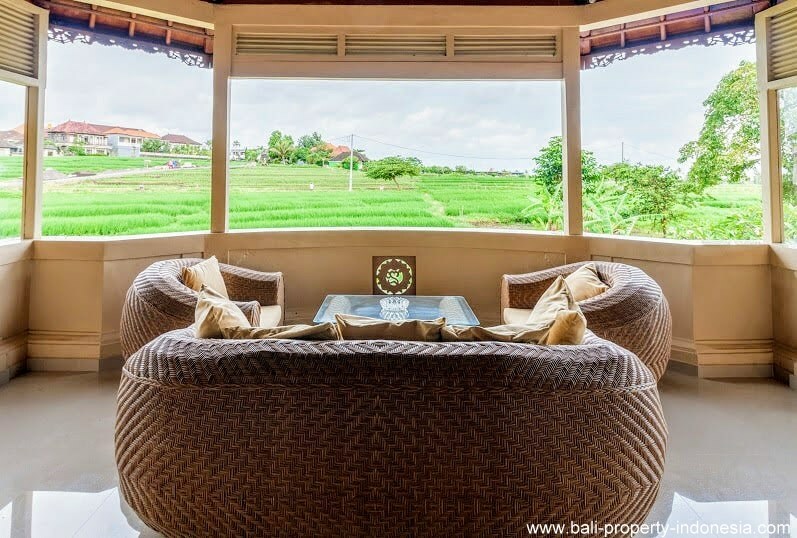 The villa looks across acres of rice-fields, unchanged for centuries, and onward to the glinting Indian Ocean. 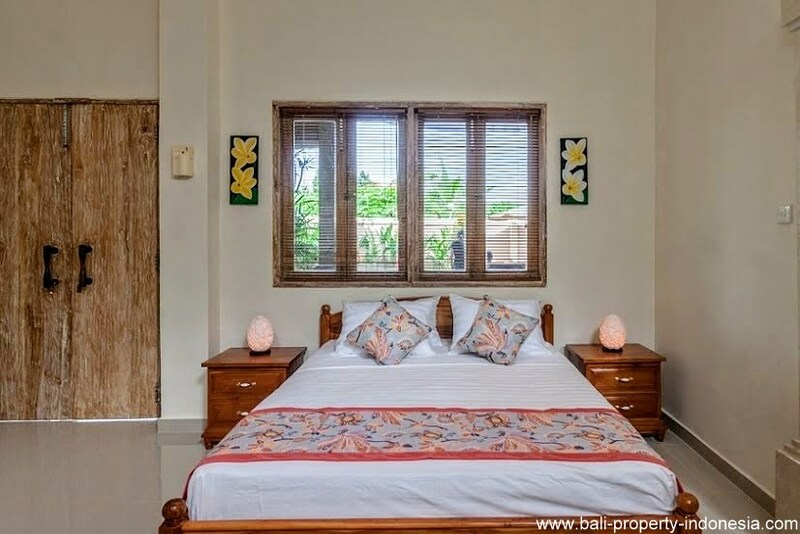 Seseh is a beautiful quiet beach side suburb located only 15 mins from the rapidly growing and trendy areas of Echo Beach Canggu and Berawa, approx.15 mins from Tanah Lot, and only 30 mins from Seminyak. 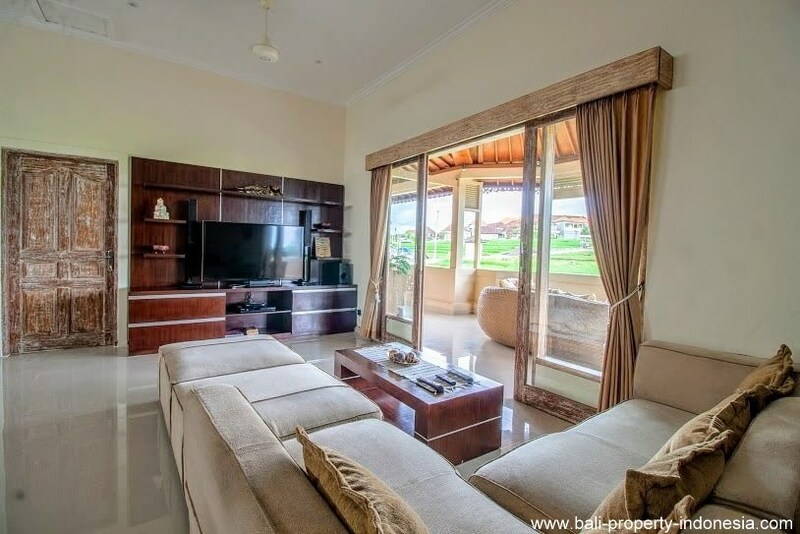 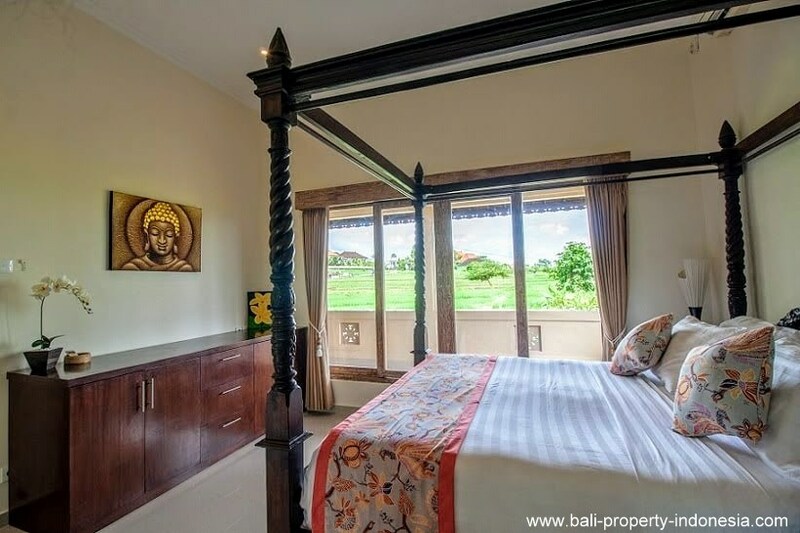 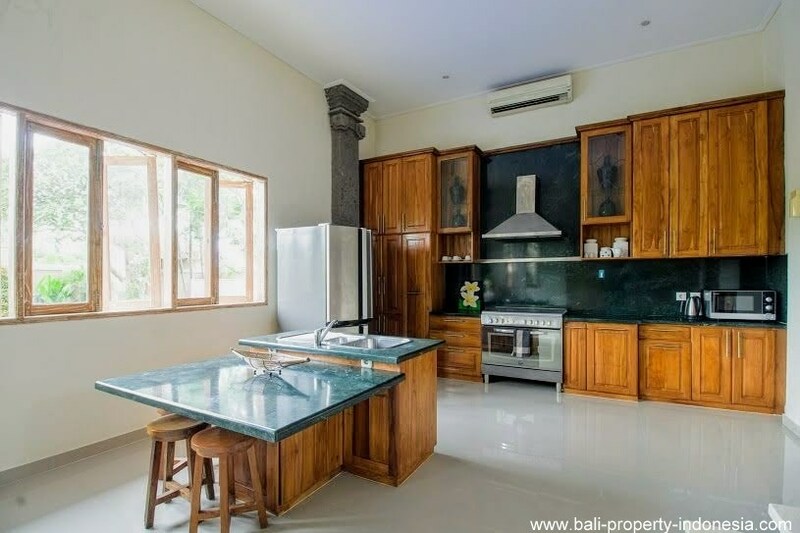 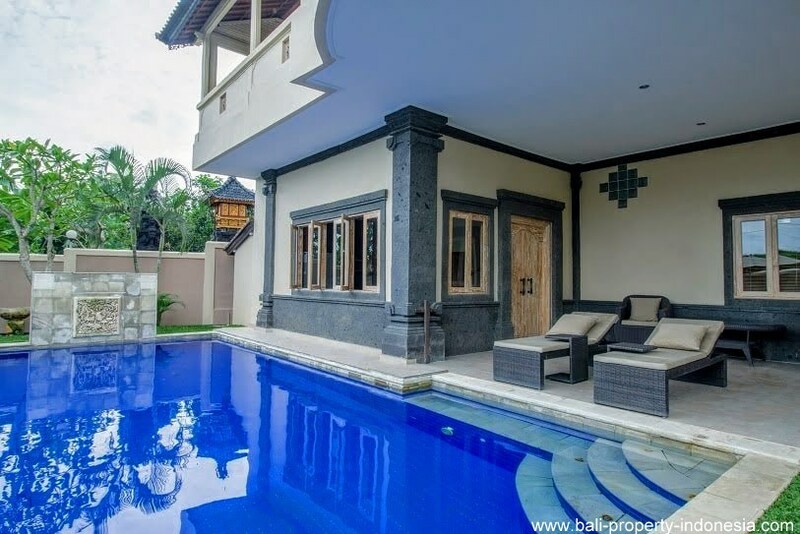 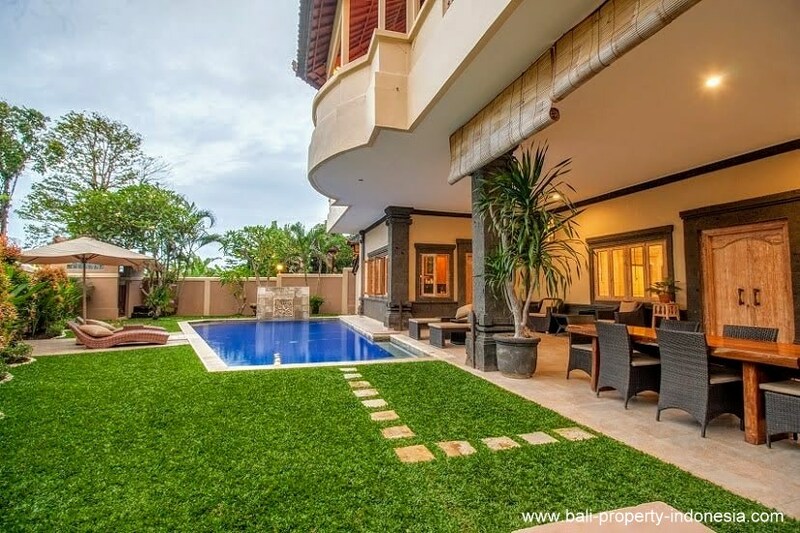 The villa has just undergone an extensive renovation and refurbishment by its owners and no expense has been sparred to ensure this is one of the most modern and classic villa’s in Bali. 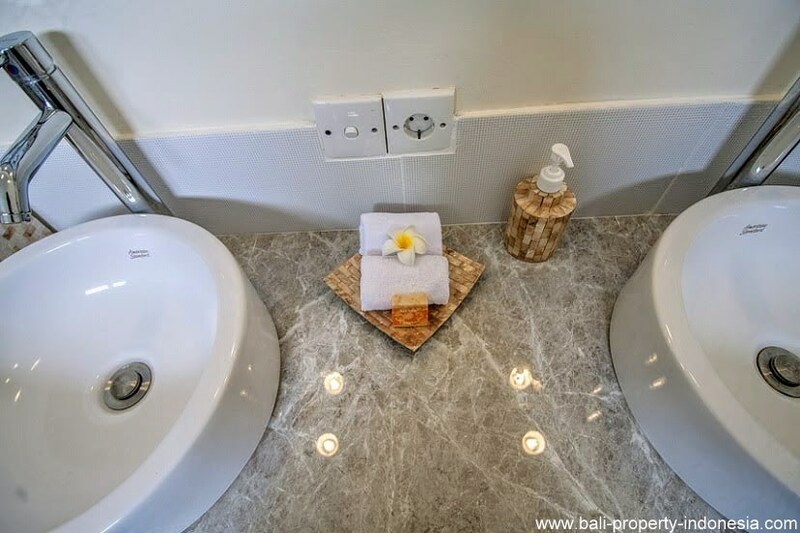 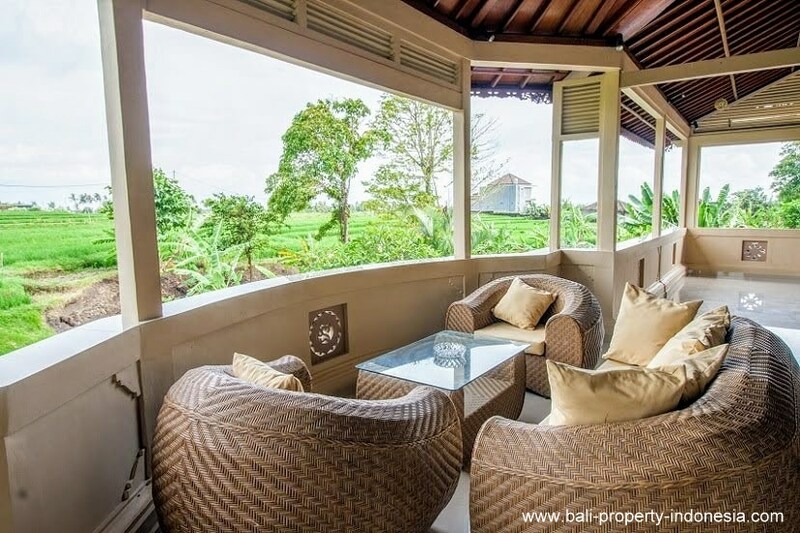 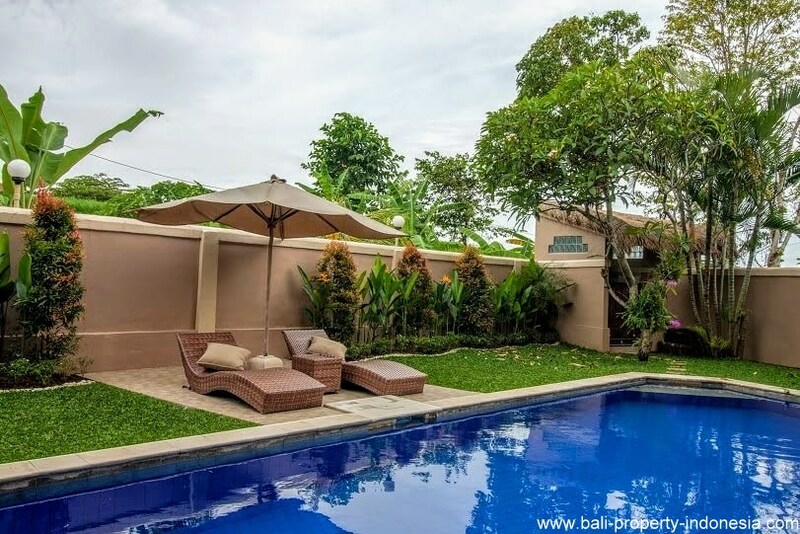 The villa is set on 800 sqm of freehold land, with approx. 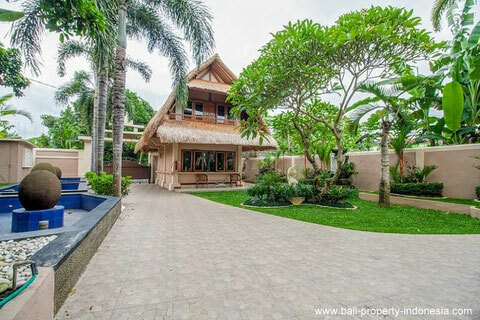 500 sqm meters of under roof living and entertaining space. 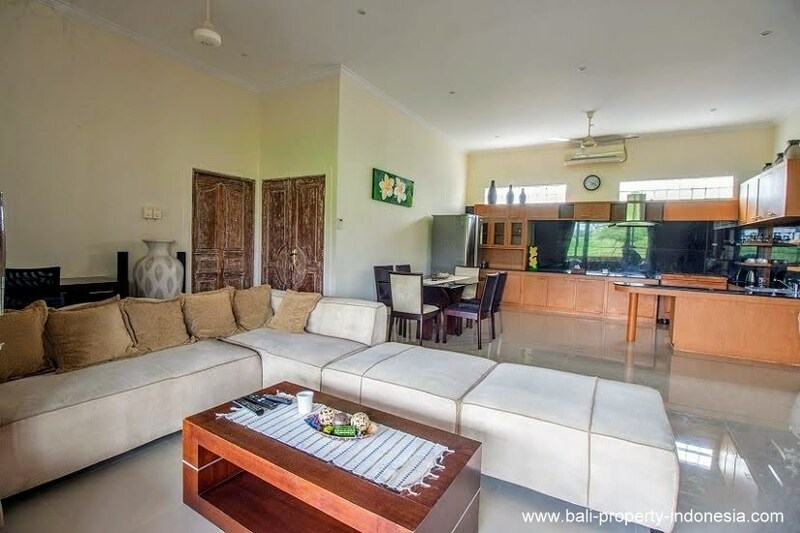 Overall the home provides 5 bedrooms, 7 showers and toilets, 2 kitchens, laundry, and 3 totally separate living areas. 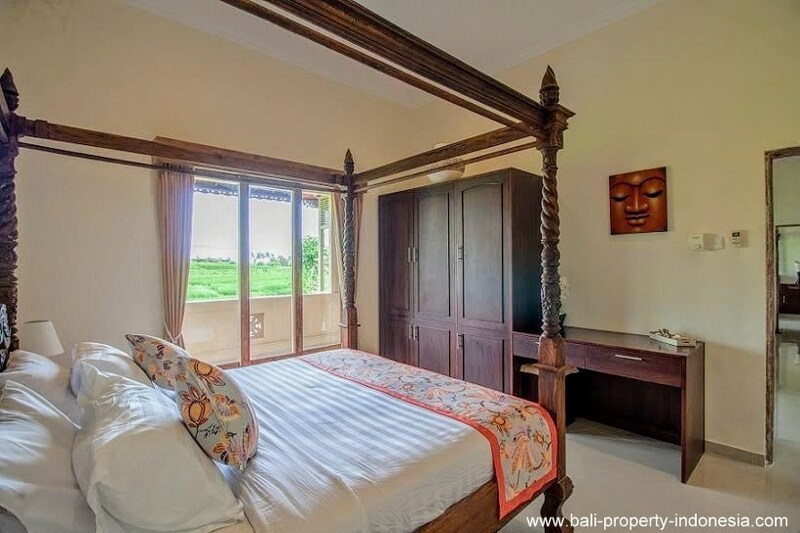 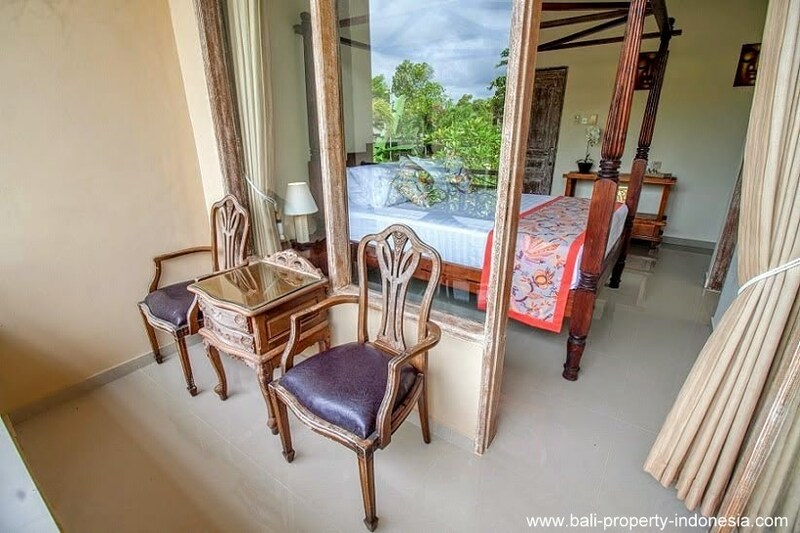 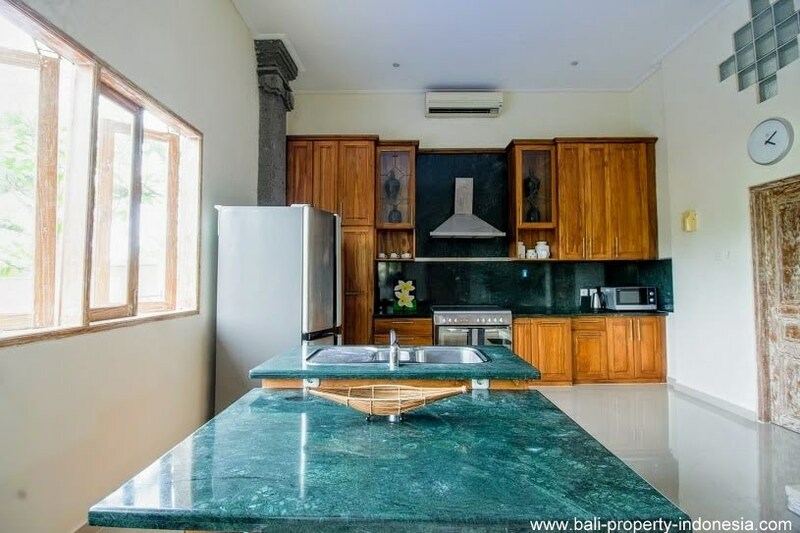 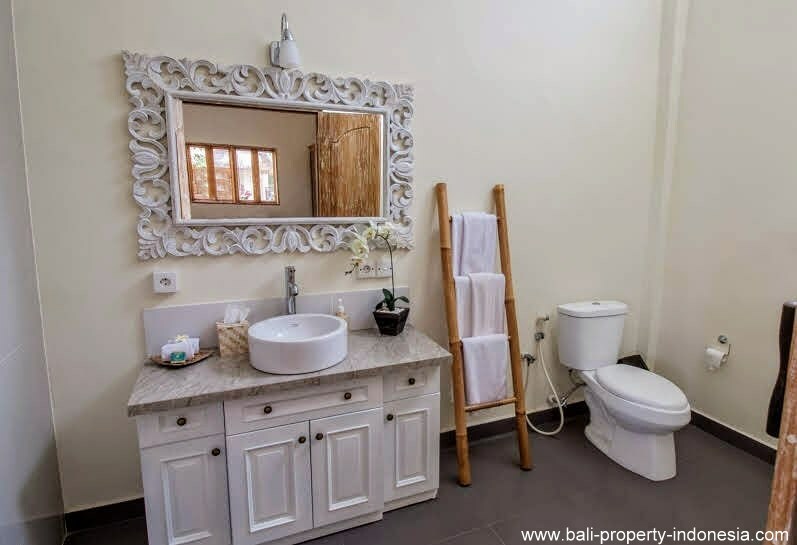 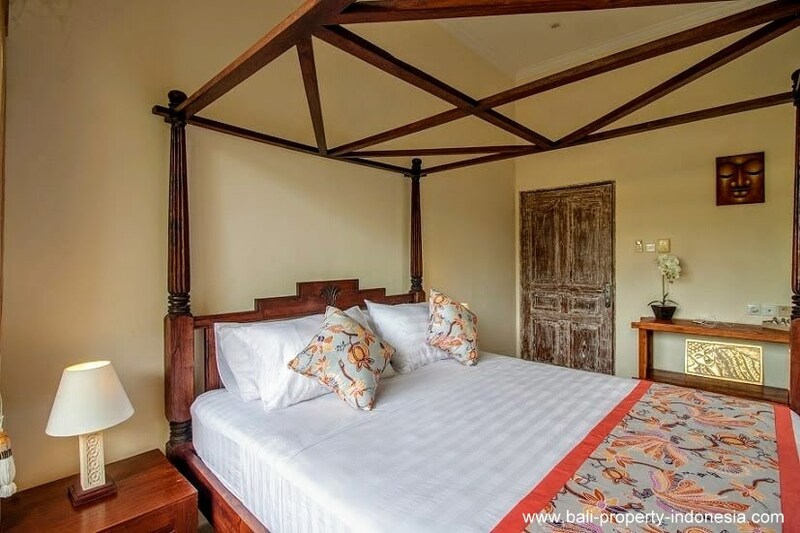 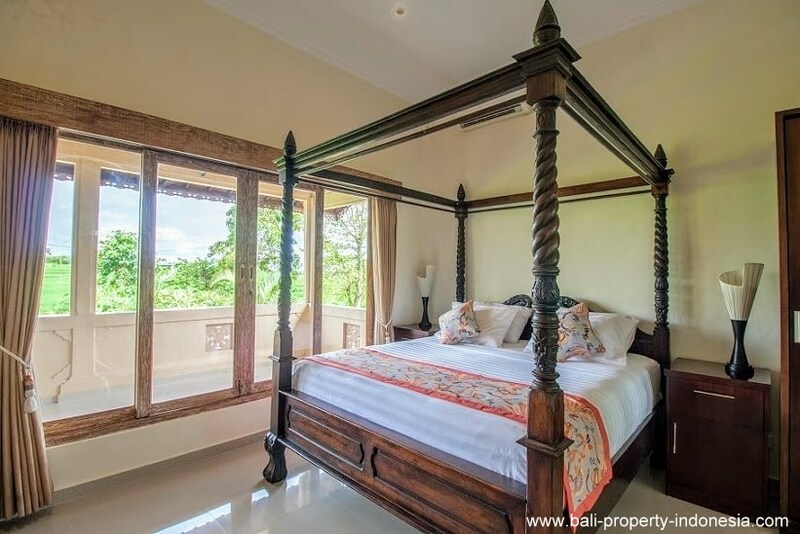 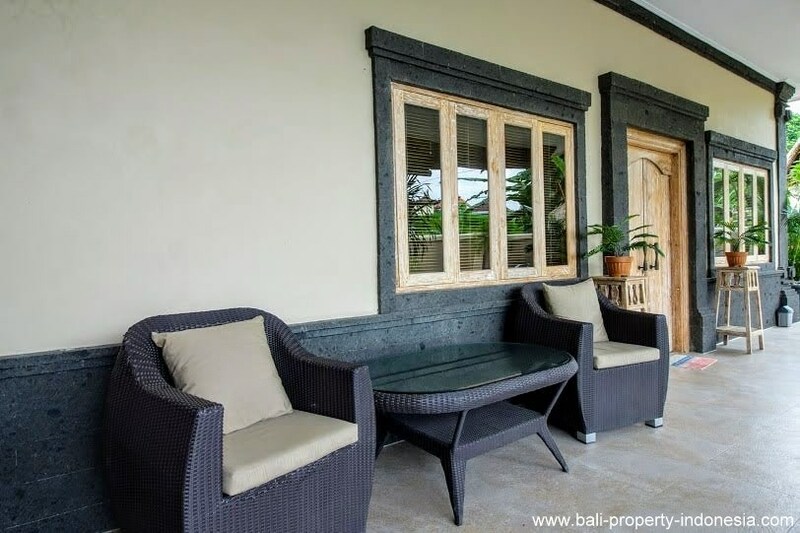 There is a fully self-contained Javanese style Lumbung, offering the perfect accommodation for a couple, guests, or a revenue generating home stay. 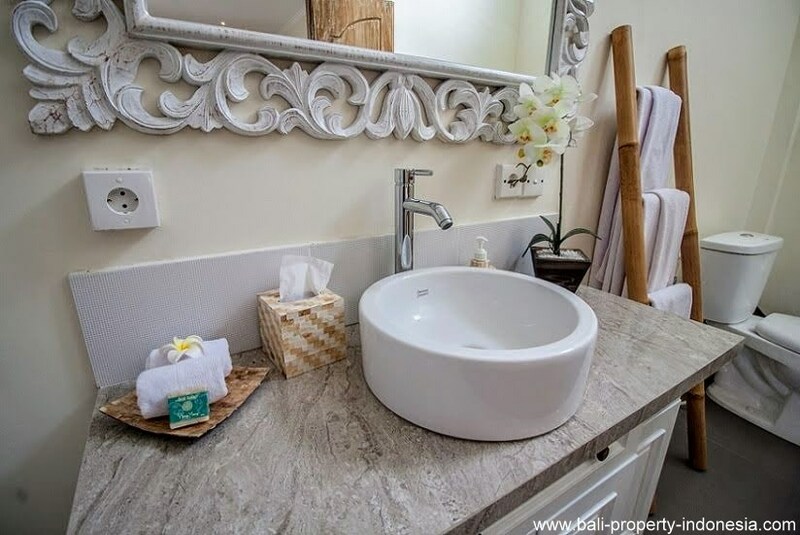 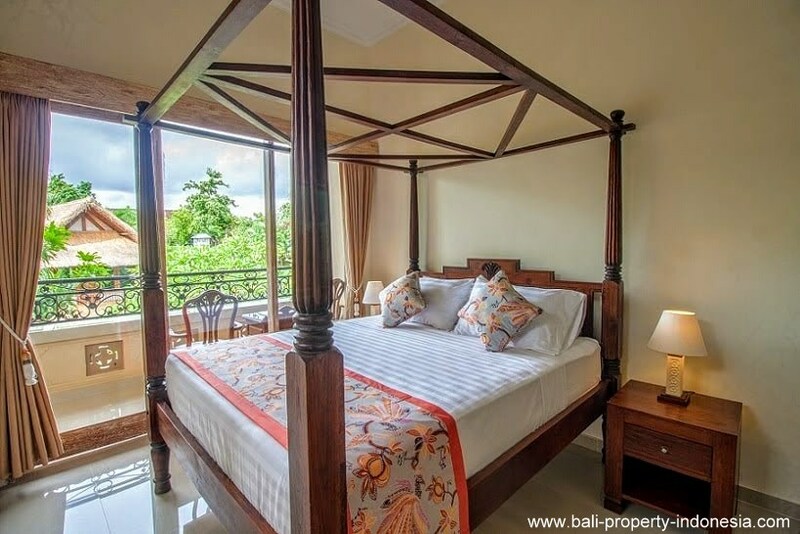 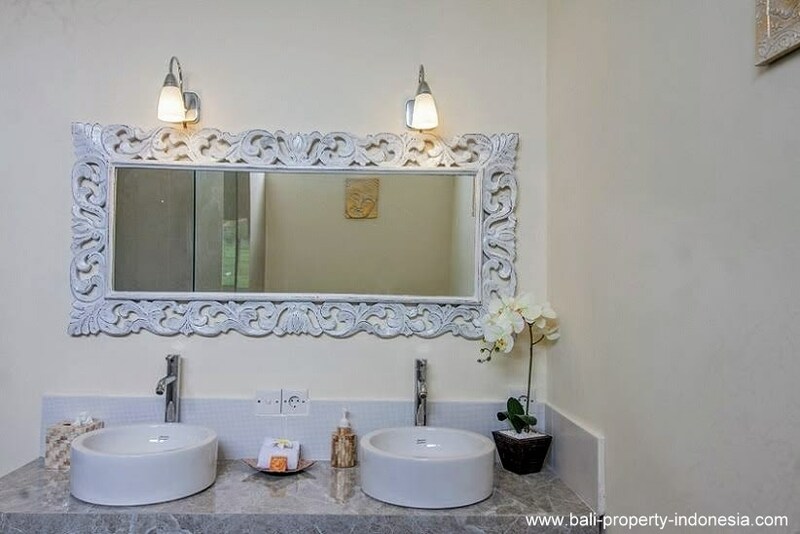 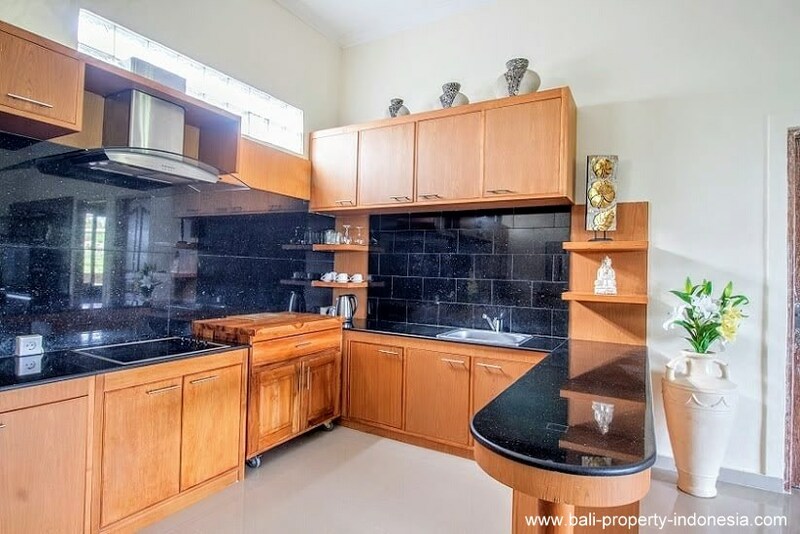 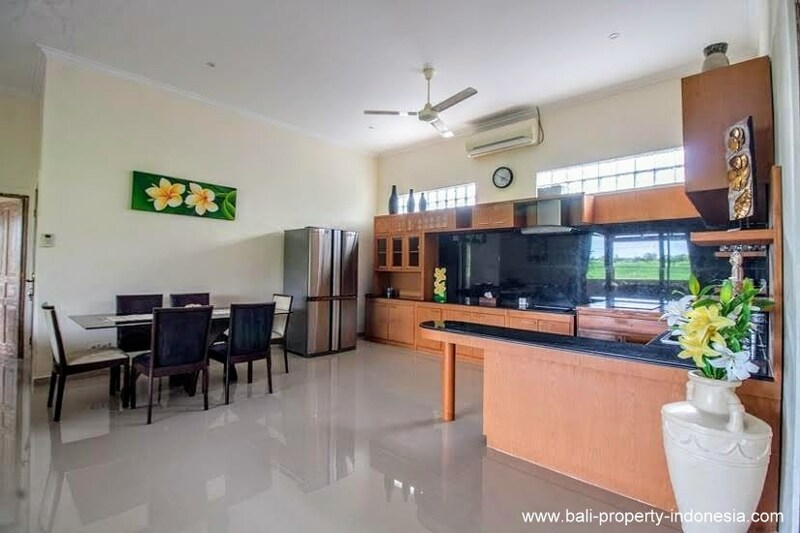 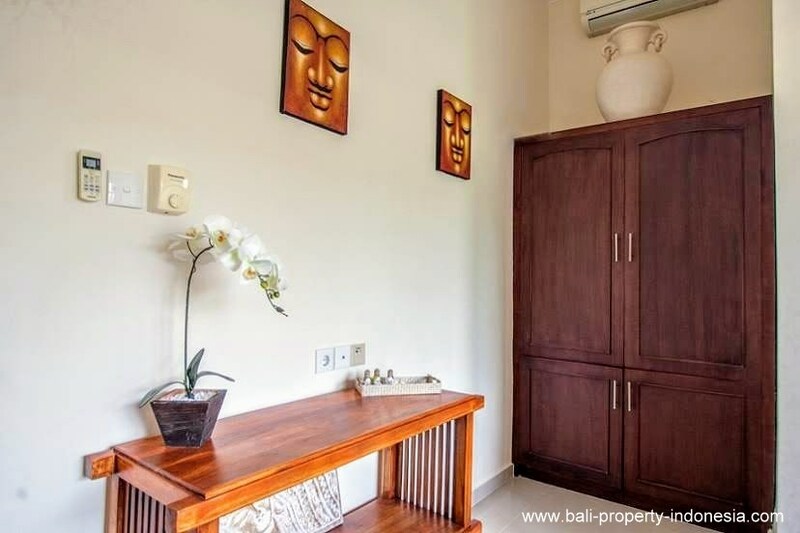 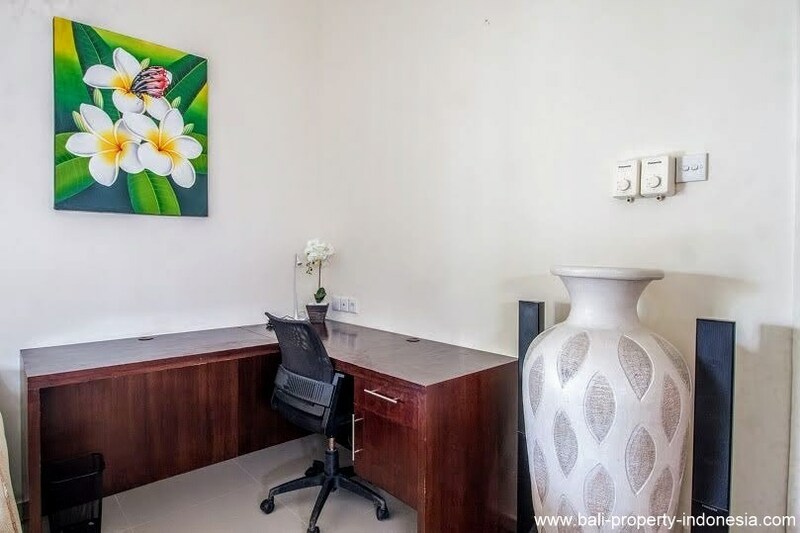 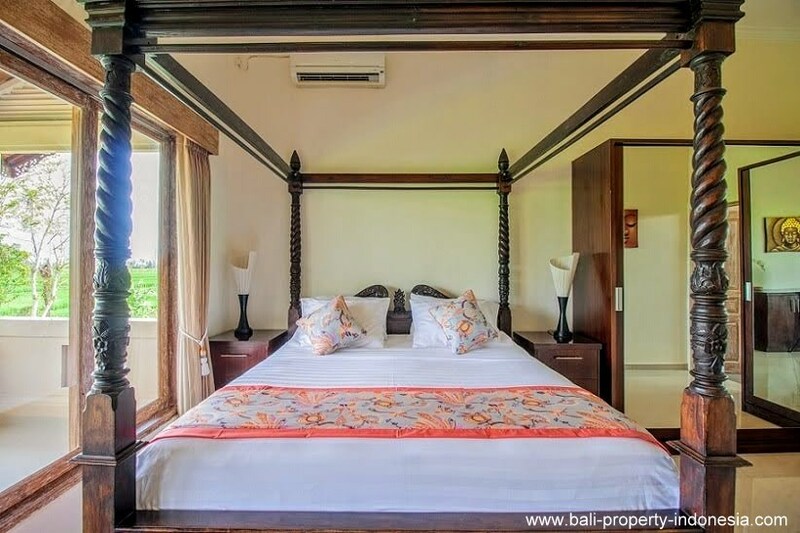 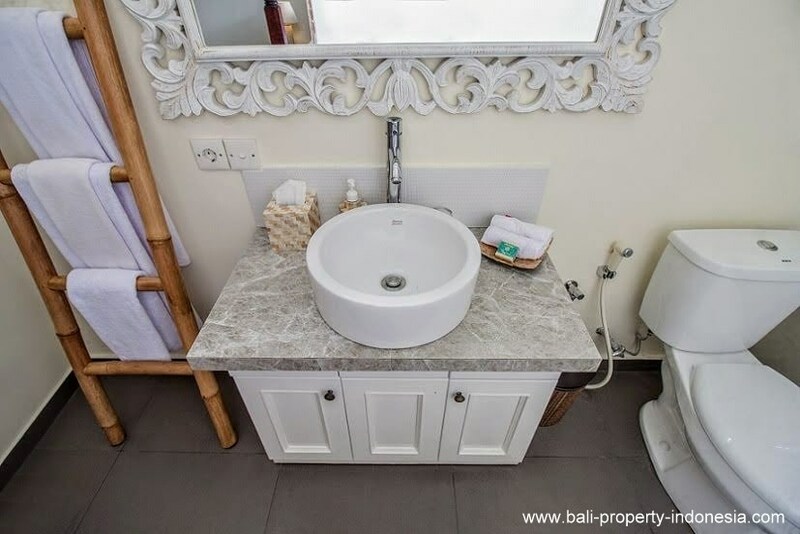 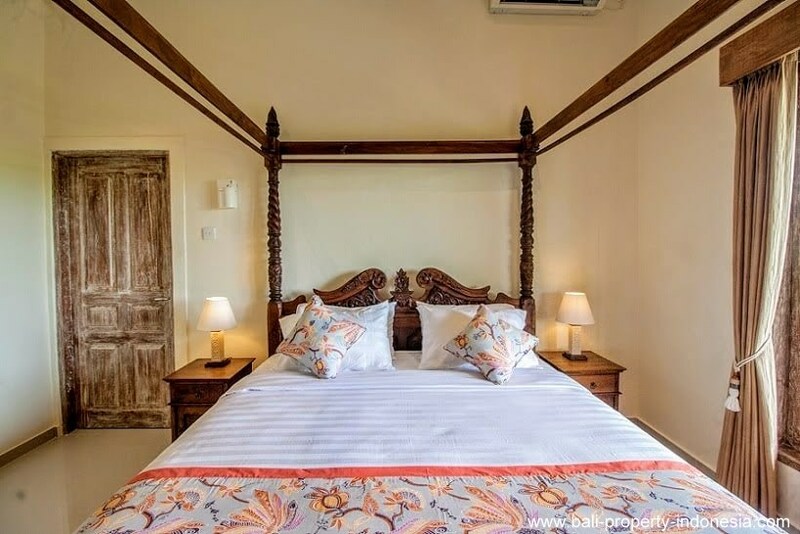 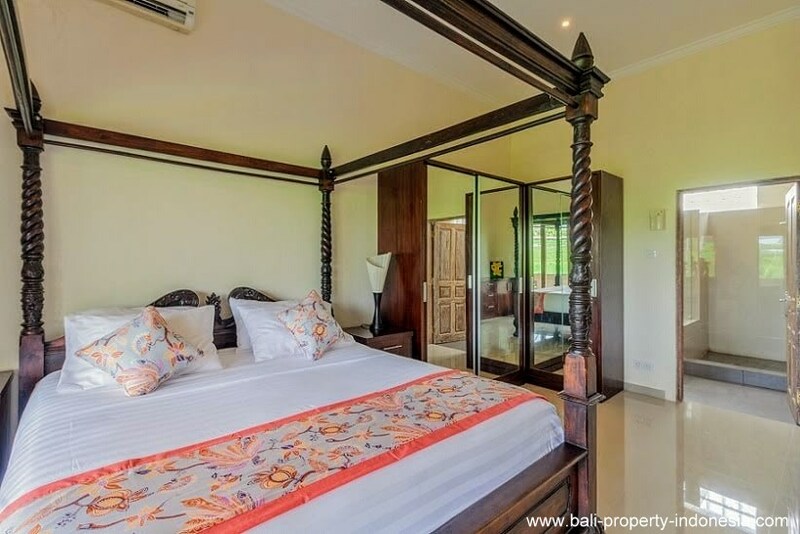 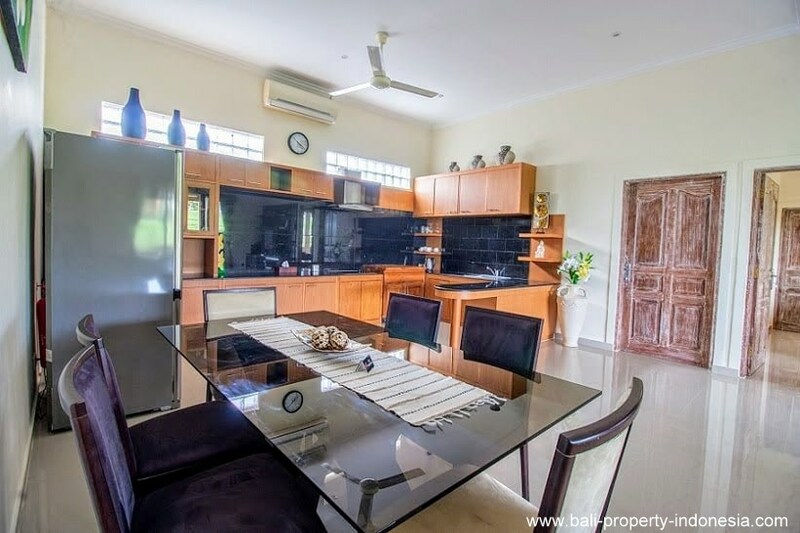 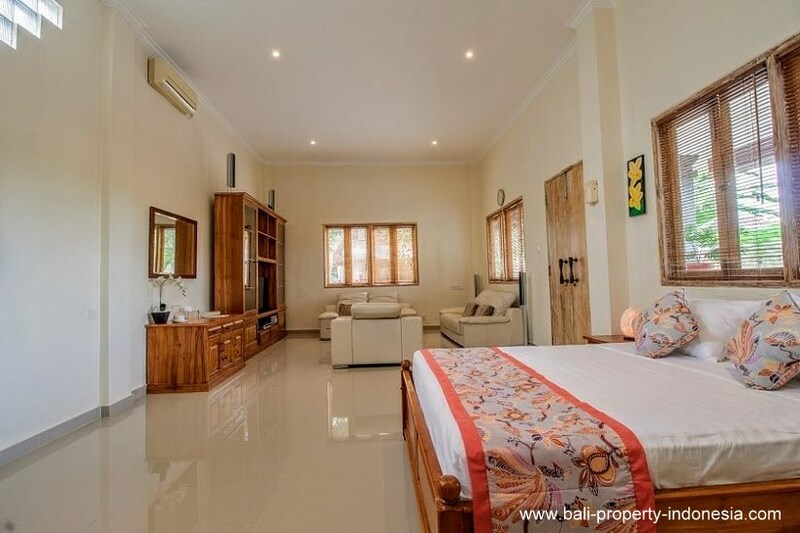 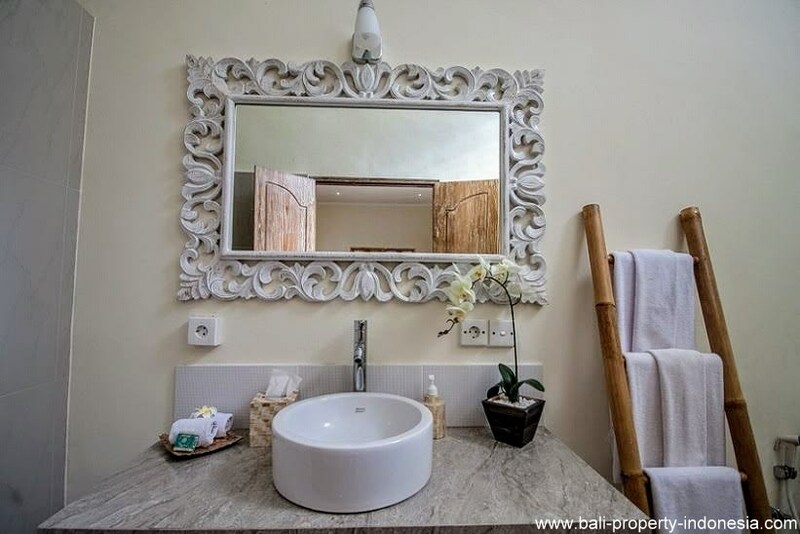 It consists of two levels, approx 90 sqm, with the top floor boasting a massive king size bedroom and private terrace/balcony overlooking the gardens and fish ponds. 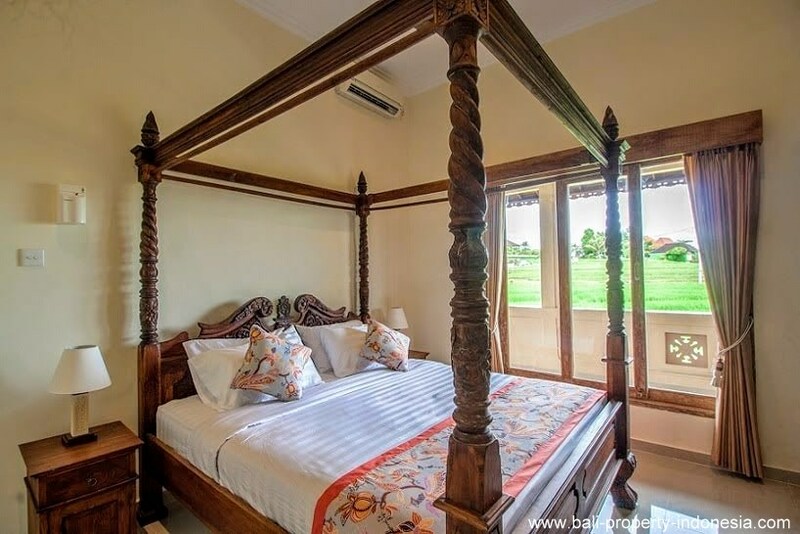 The bedroom is fully air conditioned and has a ceiling fan for extra comfort. 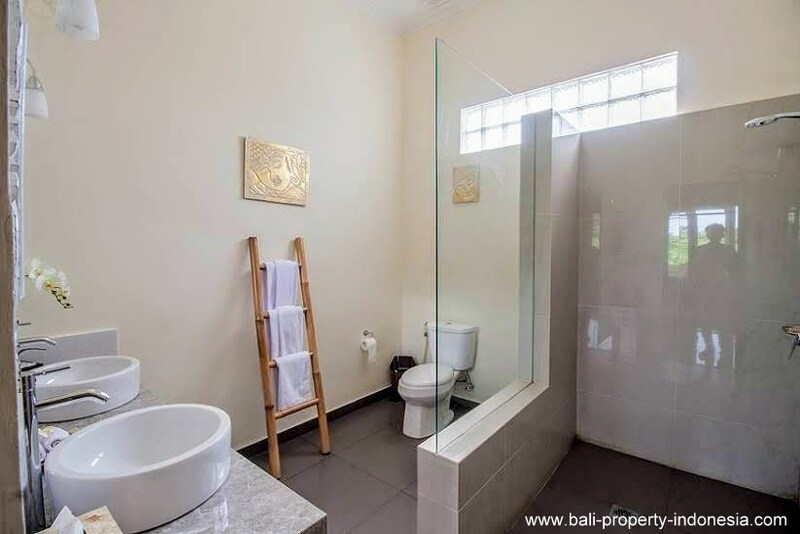 Downstairs there is a lounge area with separate shower/toilet and room for a small kitchenette. 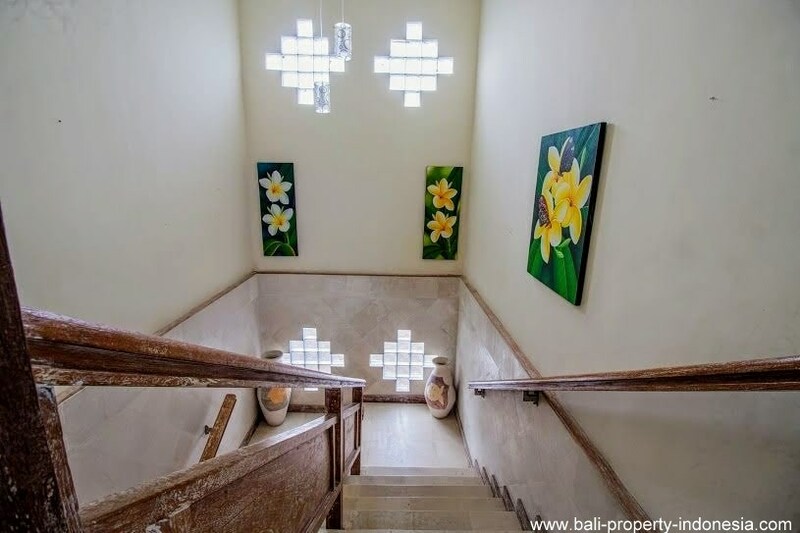 Outside there is an undercover tiled area for sitting.